Many people see their website as their brand, office, business, investment, work, career, friend etc they work, update and earn money with it. A website or blog can be seen as a way of online promotion, online advertisement ,online business, online jobs and a way of making money online. 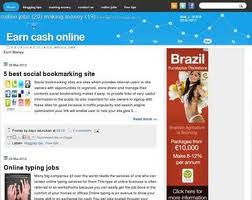 A blog or website also function as a tool to making money online or offline. A website promote your business, your product, your service, your thought and also used to sell anything online. There are different ways to earn with your website and are discussed briefly below. Top 5 Ways to make money with website or blogs. 1.Self promotion : your blog or website can make you earn money by displaying your product or services on it. More views of your displayed stuffs in return bring more sales to the product or services therefore making you earn more money. Facebook ads vs Nairaland ads: Which is Better ? Recently, Facebook announced that its has over 1billion active users and according to Alexa, Facebook moved to number one (1) spot ranking more than Google. While Nairaland which recently rank number (1) in Nigeria according to Alexa and other traffic site claims Nairaland is the most visited site in Nigeria. Both site are the best for promoting a business. With over a billion users, a product or service can easily get traffic from Facebook program like Facebook page, groups, paid adverts etc. The fact remains that Facebook traffic is great which may yield high money making ideas from Facebook, while Nairaland has million views with thousands of impression but as much as Facebook. 1. Facebook paid ads involves the use of credit card, Paypal or international bank account while Nairaland need no such but a direct bank payment. 2. Nairaland ads are targeted i.e can be easily seen and purchased by Nigerians. Fortune51 Ad Network is a new program which allows website owners to make money online with their site by displaying ads on it. Fortune51 Ad network works like Google Adsense or Addynamo which seems to be the best way to make money with one's website or blog. If you place Fortune51 Ad Network advertiser ads in your website, you can earn 50% of the click bid rate for each clicks from your site and start making money onlinefrom your website. Fortune51 debit card can also be used to withdraw liberty reserve fund with Atm, they offer webdesign and hosting, internet marketing etc. Fortune51 Ad Network allows you to create specific ad-display code for your search engine. When people search on your search engine, relevant text or banner ads for the search keyword may appear next to the search results. 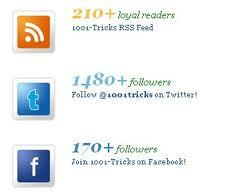 Twitter seems to be the fastest growing social network on the internet with lot of advantages. For website owners or bloggers, twitter traffic or getting traffic from Twitter can be achieved by installingTwitter share button, Twitter follow button or re tweet button. All this Twitter button allow easy sharing or tweeting among Twitter followers and other Twitter which in returns bring Twitter Traffic to your site or blog. As we know that having huge traffic on a site brings more money for the site or blog owner. This Twitter follow button will show follow@name with the count or numbers of your Twitter followers. How to add Twitter Follow button with count On Blogger. 1. Login to your dashboard. 2. Click on layout menu. 3. Click on add gadget. 4. Highlight and Paste the code below on the pop up menu.